President Donald Trump visited northern California neighborhoods Saturday to survey damage caused by a wildfire that ravaged more than 200 square miles in the last week. 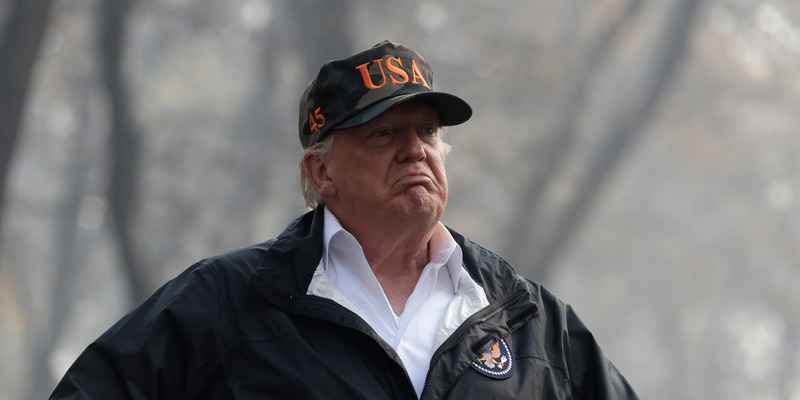 Hours after Trump blamed forest mismanagement for the fast-spreading fires, he said the scorched areas did not alter his opinion on climate change. In his second trip back to California since his election, Trump also planned to travel several hundred miles south to visit with victims of a recent country music bar shooting. PARADISE, Calif. (AP) — From the ashes of a mobile home and RV park, President Donald Trump said Saturday he came to the heart of California’s killer wildfire to fully grasp the scale of the desolation wrought on the landscape.